How possible is it for one to get this free airtime on any network? As some people will be wondering about this. Without any doubt from anyone, this N5000 airtime is authentic and real. Already some of my friends and fans on Techbmc whatsapp group, I leaked the tips to are already basking in euphoria of joy with this trending on point. So, as a matter of fact, you don't have to be left alone, so I decided to share to the public on how to get this ongoing awoof whether you are using Etisalat, MTN, Airtel, Glo, etc whichever network you are using, get ready to receive your on free airtime/credit as Techbmc cares. 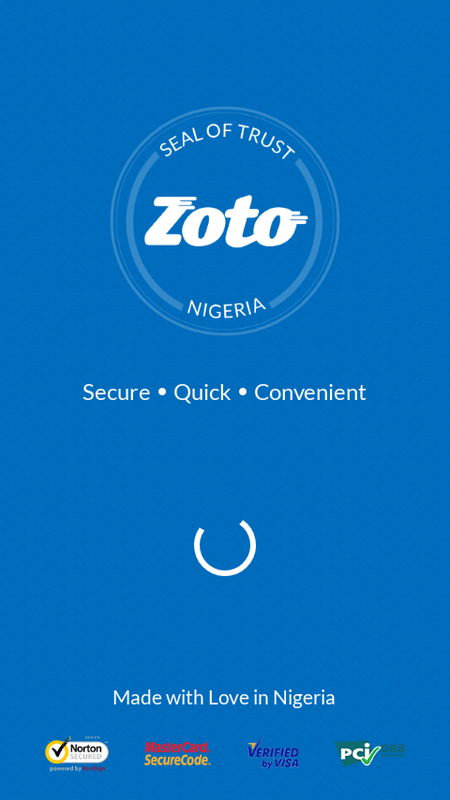 With the use of "Zoto" app, earning free airtime is made possible on various networks in Nigeria. 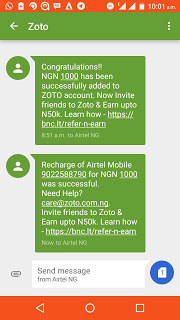 You can make upto N100,000 airtime with zoto in a space of one to two hours. Are you hearing about Zoto app for the first time then, here is what the app is all about. 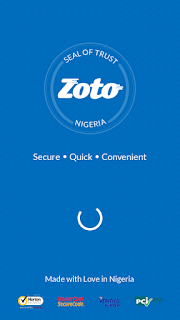 ZOTO app is classified as one of the fastest and easiest way to recharge any line or sim anywhere within Nigeria, and its service is always available for use, as you can get cash back with every recharge and as well recharge for family and friends. READ ALSO: How To Get Your Airtel Live Unlimited Free Browsing Fast And Stable For All Android Device. ==> First, download the Zoto app through Play Store via . ==>Install and Launch the zoto app, then register by filling in your complete details in the provided forms on Zoto app. ==> Once you are through and successfulhere. with the registration, and you make a first recharge of N100, zoto will offer you N1000 for free. ==> When you must have done the above, you can now share your referral name to your friends in other for you to get free N1000 airtime once you refer anyone, the more you refer the more your airtime accumulate. That's how it works. Don't enjoy alone, share to friends on facebook with the share buttons below, as this will enable you to get more referrals and earn more. if you have any problem while installing or during the course of registration, then use the comment box for your question. And we would help to solve the issue since that is what we love to do.